Smart technology has long been behind the scenes at food and beverage companies. As consumers become more tech-savvy, the rise of smart technology in the home, the shop and the production facility will continue to change the way we manufacture, order, cook and store food and drink. 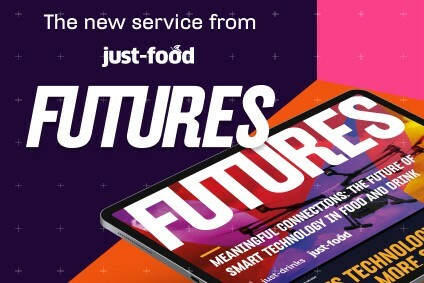 Victor Martino reports for just-food FUTURES. Not long ago the concept of smart machines being routinely involved in our everyday places and spaces was the stuff of science fiction. Concepts such as the Internet of Things (IoT), Artificial Intelligence (AI), machine learning and blockchain were the stuff of university high-tech research programmes, military research labs and technology company 'moonshot' initiatives. But the future has become the present: in our smartphones and cars, increasingly in our homes and at the grocery store – both the physical and virtual versions – within food and drink companies, and on the farm. Smart technology has been working for some time behind the scenes in all areas. Looking ahead five years, connected technology has the ability to save beverage companies money, including in labour costs, as the 'intelligence' of these machines is rapidly evolving. Using AI, refrigerated display cases that automatically order product is already on the horizon. Smart tech is now also coming out of the closet, and could soon play a key role at home and in the physical places and virtual spaces where we get the food we eat and the beverages we drink. This report explores the future of smart technology both in front and behind the scenes: What trends are driving smart tech? What will the market look like in 2023 and beyond? What hurdles will businesses have to overcome? And, what should you be doing, right now, to prepare? From the desire to make everyday tasks more simple and less time consuming to the rise and affordability of smart devices, there are several trends driving us towards connectivity when it comes to food and drink. According to the UN's Department of Economic & Social Affairs, two-thirds of the world's population is expected to live in urban areas by 2050. Stats from the Brookings Institute suggest that at the end of 2016, there were 3.2bn middle-class people in the world, with 160m people per year expected to join the cohort every year for the next five years. Tech disruptors such as Lyft, Uber, Instacart, iGrab.it and Drizly mean people can order what they want, when they want it. Technology continues to become more sophisticated - and its use knows no boundaries. For example, according to PwC, by 2020 there will be "close to seven times the number of connected devices as people on the planet". According to GlobalData's TrendSights Overview: Smart & Connected report, consumers are becoming more reliant on the "efficiency and effectiveness of digital solutions in managing their lifestyles and dealing with household chores and shopping experiences". The key audience, the report says, is Millennials. A general distrust of technology still lingers for some consumers, while others shy away from new brands. "Connecting devices makes them accessible to cyber attack," says PwC. "If something can be connected, it also becomes hackable. Digital security, and the trust it supports, becomes even more critical. This applies equally across consumer and industrial applications." Inviting smart tech into homes comes with questions around privacy, data gathering and data sharing. Consumers will want to know how their information is used and stored. According to PwC, 72% of UK consumers say they are unlikely to introduce smart tech into their homes in the next two to five years. The firm said a lack of understanding is the issue, but this is likely to change as the use of items such as smartphones continues to advance. Being faced with a plethora of choices can result in consumers pumping for trusted brands, rather than experimenting with new products, according to GlobalData's Smart & Connected report. How can smart technology work for food and drinks companies? Don Gordon, global marketing director for enterprise software company SAP, offers some insight into an interesting and highly successful example of smart technology behind the scenes. He says it involves beverage industry client-companies that own large networks of branded refrigerated display cases placed in retail stores. Working with SAP, large drinks companies are using IoT connected devices to "monitor thousands of refrigerated units from a single computer to ensure the refrigerated cases are kept fully-stocked with the right products at the right temperature." This is proving to be an invaluable innovation because it significantly helps reduce out-of-stocks and is resulting in more happy customers, Gordon says. "Not only that," he adds, "but this type of control monitoring enables the client-companies to dispatch maintenance crews proactively, before the refrigerated display units break down. This alone is saving big beverage companies pretty impressive amounts of money." One of the biggest high-stakes debates in the food and beverage industry is whether the future of food and eating will take place in or out of the home – and whether it will involve cooking, online ordering of ingredients or prepared foods, pick-up or home delivery. The premise of the general debate is a bit of a false dichotomy: some people will continue to cook, while others will opt not to. Most of us will continue to do some of each. The important question embedded in this debate is which one will win the greater share of consumer dollars? The stakes are obviously very high for grocery retailers, food and drink makers and restaurants, along with the myriad venture capital firm-funded food delivery startups, which have as a mission the disruption of all three established industries – along with disrupting how we eat and how and where we buy our food and beverages. The dominant narrative – the disruption thesis – over the last few years has been that food eating away from home would be the likely winner because fewer people are cooking at home, and Millennials and Generation Z simply don't cook. But new data from more than one source tends not to back up that assertion. For example, recent figures from food technology research and communications platform The Spoon suggest 47% of Millennials in the US cook at home at least five or more times per week. Additionally, research firm NPD Group says that four out of five meals in the US are prepared at home, and "although the relationship of in-home prepared meals versus those sourced away from home has been stable for a few years, we still prepare more meals at home than we did a decade ago", researchers wrote in a June 2018 report. David Portalatin, vice president and industry advisor at NPD Group, predicts we're headed towards a mixed approach. We'll "blend meals we make at home with ready-to-eat items we buy from outside the home", he says. Blended meals are where the connected smart kitchen can come into play. Smart ovens such as the June Oven, which can automatically recognise and cook hundreds of foods, will make cooking easier and faster. Meanwhile, models such as the Tovala (in which US food giant Tyson Foods invested in 2018) come with a meal-kit service, delivered to your door. Every major appliance maker has a smart refrigerator on the market – and they are investing big money to create successively smarter and more useful versions. The ultimate objective is the connected refrigerator, which can automatically order its food and drink contents. Tied-in with smart cooking appliances and devices, connected smart refrigerators – manufacturers hope – might make home food preparation so easy, less time-consuming, and perhaps even fun, that more consumers embrace cooking at home. Bioprinting of food is also another emerging technology that many believe will grow the home food preparation ranks even further. Simple. No fuss. No cooking skills required. Bioprinting is the three-dimensional printing of biological tissue and organs through the layering of living cells. They also dispense a dissolvable hydrogel to support and protect cells as tissues are constructed vertically, to act as fillers to fill empty spaces within the tissues. US-based startup Memphis Meats is producing beef, chicken, and duck from animal cells using bioprinting technology. The company says it soon plans to launch its first product. Bioprinting is the hallmark in many ways of the smart food and drink phenomenon. It's the literal engineering of a product that looks like – and the company promises will taste like – meat but doesn't come from an animal. If such technology becomes affordable and bioprinted products catch on, it could revolutionise the food industry. Instead of exclusively having animal feedlots and meat processing plants, we might also have scientists competing for a share of the consumer meat dollar. Bioprinting also can be used in creating "lab-grown" seafood, which many of its supporters hope will help alleviate the problem of overfishing. Theoretically, it's the perfect solution. Practically, the jury remains out, although home food printers like the Foodini are being bought by early adopters. For grocery retailers, widespread adoption of smart appliances has great promise. The connected kitchen-to-grocery store offers food retailers – both physical and virtual – the ability to keep their share of the food and drink dollar in the battle with away-from-home. Either way, grocers win. Brick-and-mortar grocery shopping remains the norm globally. And by the time the smart kitchen becomes widespread, if it does, nearly every grocer on the planet will have an online grocery service. Food and beverage companies wanting to play seriously in the direct-to-consumer sales channel have an opportunity to be big winners if the smart kitchen takes off. Smart refrigerators and smart pantries – Amazon's Dash buttons are an early example of the latter – offer consumers the potential to more easily order products direct from manufacturers, bypassing the traditional retail channel and possibly saving money as a result. That said, Amazon's decision to stop selling Dash buttons will provide proponents of smart tech pause for thought. Nonetheless, connectivity is said to offer CPG companies a whole host of other opportunities and advantages. SAP recently conducted a study on the IoT-connected CPG company. "One thing we discovered from our IoT study is that many CPG companies are looking to employ IoT technology in ways that aren't immediately visible to consumers – to do things like improve supply chain efficiency or monitoring of everything from warehouses, to fleets of trucks, and beyond," says the firm's Don Gordon. "By collecting sensor data from all these different points, companies can make better decisions about how much to produce (reducing food waste), where to route vehicles (reducing fuel waste), or even what new varieties of a given food item are likely to take off. "There are so many different directions companies can go in. 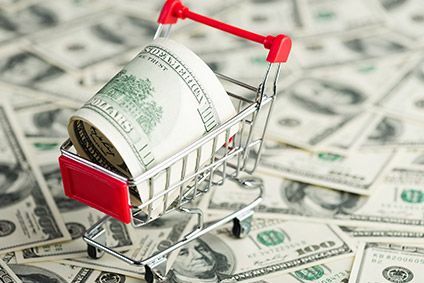 One of the most immediate challenges is figuring out where there's highest value – both to the bottom line of the CPG company and, most importantly, to the consumer," Gordon says. IoT and other forms of smart technology are rapidly advancing on farms throughout the world. Among the most talked about is the use of blockchain to promote traceability of ingredients. It's very possible that we will soon be able to connect farmers to retailers and CPG companies, and all three to consumers via the smart kitchen. This will likely lead to the disruption of the current status quo. For example, just as CPG companies could more easily sell directly to the new connected consumer via a smart kitchen, so too could farmers. A farm might produce its own line of frozen vegetables, for example, which consumers could buy directly, via their smart fridge, rather than buying them from the grocer or the CPG company that sells branded frozen vegetables. On the other hand, this technology might create so many options and buying opportunities that the aggregator, the grocery retailer, wins out. After all, that's been the key to success for grocery stores for over a century - being a one-stop marketplace where consumers can get most of what they want and need. It's a fascinating and uncertain future proposition. Michelle Weisberg, who was most recently senior vice president at Texas-based global trading company McLane Global, and a senior executive at the Los Angeles-based Smart & Final supermarket chain, is now a Chicago-based food and grocery industry consultant, researching the future of food and drink. She offers three key benefits of smart food and drink associated with the farm-to-consumer connected scenario. One is food safety. Using blockchain, retailers and manufacturers will be able to identify recalled products quickly. Consumers could be contacted by app if they have already purchased the product or if the consumer tries to prepare the recalled product, they could be alerted by a smart appliance. In addition, if a product's shelf life is out of code, the smart appliances would have the ability to communicate this information to the consumer. A second is marketing traceability. Customers could learn more about a product - from what farm it was grown on, to the temperature it was transported at, simply by scanning the packaging. Proper cooking directions and storage information could be utilised to talk to smart ovens, refrigerators and pantries. be able to have all the ingredients shipped to them along with their favourite recipes without worrying about anything, except for who will have to sit next to Aunt Martha at dinner. What do food and drinks companies need to do know? From ensuring a business is completely digital to forming strategic alliances in the tech world, there is plenty that food and drinks companies can start to do now. The smart food and drink revolution is digital, not analogue. This is job number one for food and drinks companies. All aspects of the operation, from supply chain to marketing, need to be digitalised to compete in the present and future of smart food and drink. Food and drink companies need to form strategic alliances with smart kitchen/appliance companies and grocers. The synergies between packaged goods, smart homes and online grocery retailing in its many formats are going to increase every year for the next ten years. As a result, it's essential food and drinks companies start forming these alliances today. No single distribution channel is going to rule. Instead, we have entered into an omnichannel world. Bricks-and-mortar retail, online grocery retail, direct-to-consumer are all must-do strategies of distribution for food and drinks companies in the new age of smart food and drink. Food and drinks companies without an omnichannel strategy are already at a disadvantage. Consumers are increasingly in the driving seat in the age of smart food and drink. As a result, food and drinks companies need to better understand what drives and motivates shoppers, be it online or in stores. This requires greater effort in research and analysis. Those who fail do so so will be left behind. Consumers increasingly want to be addressed personally as well as a demographic or lifestyle group. Food and drinks companies therefore need to start putting personalisation into their product development and marketing mix. The age of smart food and drink means smarter consumers who want to be addressed as a group of one. Personalisation therefore is no longer a luxury, it's a must. So, to wrap up, smart technology has the ability to change the food-and-drinks-at-home equation. It is also changing how we obtain food and drinks out of the home, most-specifically in the form of online ordering with food delivery. Looking five or so years out, we'll see connectivity in the homes of early adopters who can afford smart appliances, the cost of which will keep coming down as more people purchase them.